Sir Richard Bacher, after being appointed on 3rd March, 1758, as the Sea and Land Customs Master, felt the need for an office in some convenient place. It was the site where Mr.John Zephaniah Holwell’s house adjacent to the old ditch stood that Sir Bacher identified for his purpose. Mr. Holwell sold his property to the Company for Rs.9,500/-, for using as Custom House. 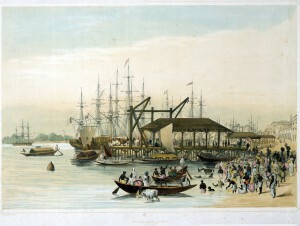 Thus, the Custom House initially functioned from Holwell’s house in Calcutta. The godowns and warehouses adjacent were also being used for storage of goods brought through riverine route. Holwell’s house being an old construction was found as not suitable for the functioning of the Custom House. Owing to incessant rains in the monsoon, the old construction gave way to seepage and leakage at many points. 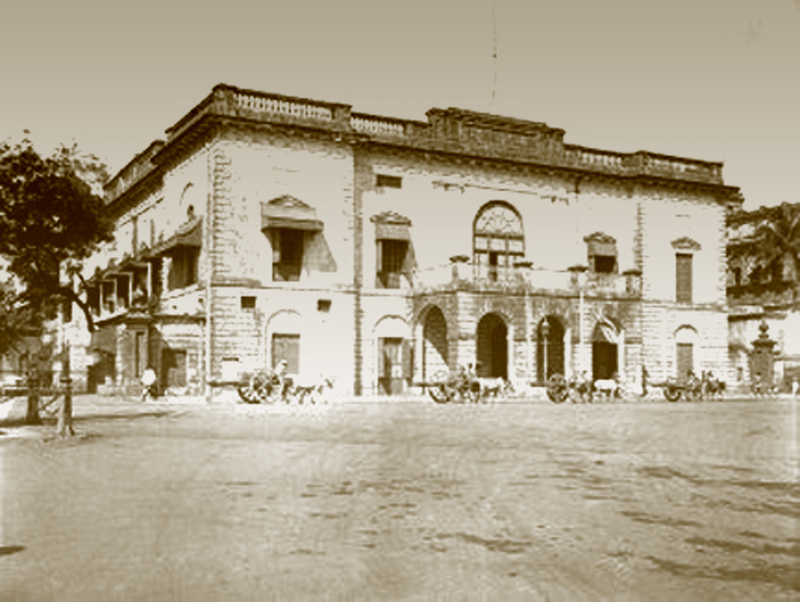 The building was, therefore, sold off for Rs.8,051/- only in 1760. The Custom House thereafter temporarily functioned from a dwelling house till it was decided on the 8th September, 1766, that the apartments occupied by the Fort Major in the old Fort would stand appropriated for use of the Custom House Master. Evacuation of all militaries from the Fort area was completed in the beginning of 1767 with a view to converting the Fort premises into a Custom House. A number of warehouses and other buildings were erected inside the old Fort. From 1770, the old Fort steadily dipped into the Hooghly river. The Custom House at the extreme southern side of the old Fort disappeared in due course into the river. The southern side of the old Fort with a long narrow furrow on the ground was connected with a canal by which the boats could enter into the Custom House and the ships could be repaired without having the need for going all the way to Bombay. This entry was posted in Commercial Houses, Company Rule, Custom Houses, Export/ Import, Government Establishments and tagged customs house, East India Company, english east india company, holwell’s house, john zephaniah halwell, old fort william, richard bacher, sir richard bacher. Fascinating. I am interested in the history of customs duties and customs administration in India. Do you have more details, or could you share the source? Thank you Radha Arun for your words of appreciation. You may find the main source of my essay following the hyperlink provided. Hope, the following titles, all available online, will be of of your interest. Early annals of the English in Bengal, being the Bengal public consultations for the first half of the eighteenth century. V. 2, Pt.2 / Charles Robert Wilson. London: Thacker, 1895.